The voices of the many women interviewed fill the theatre. The lights go down in the Carriageworks for the exclusive performance of Three Generations of Women on Thursday 10th March. The play, produced by Anna Jefferson and Alice Trueman, sets a great example for female empowerment within the theatre industry that will hopefully have a ripple effect into society as a whole. Three Generations of Women explores the difficulties faced by female members of the same family and the difficulties they face through their roles as a daughter, mother or grandmother. The play creatively intertwines relationships, secrets and humour to present an emotionally inviting production. Simplistic staging allowed an intensified focus on the storyline of the play, which was professionally and powerfully portrayed by the four leading actresses, Gilly Daniels, Nicola Harrison, Moir Leslie and Emily Spetch. The plot skilfully transports the audience from the present day situation of Frankie, a 30-something woman moving back home to help take care of her mother, Gilly, and flashbacks to Gilly’s young adulthood. Frankie is aided through the transition from freedom to returning home by her childhood best friend, Maya, who assists her in finding out more about her undisclosed grandmother, Elsie, and provides the play with an additional female relationship that is put under the magnifying glass during tougher times. The audience experiences the individual stories of each of the characters whilst simultaneously learning how they all interact and relate to each other – a brilliant insight into the intimate dealings of women across all generations. 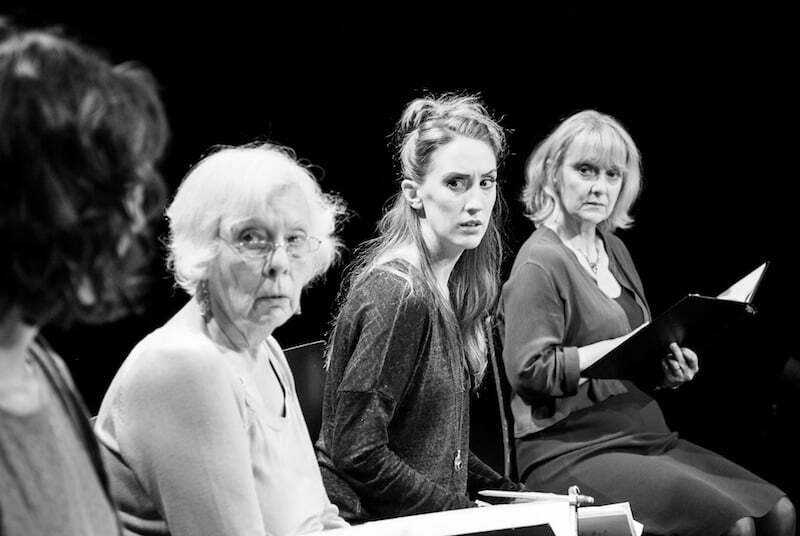 Featuring several tear-jerking moments, Three Generations of Women is a play that does not hide away from the emotional traumas that life throws at you. Drawing the audience in closer to the sentimental subjects and secrets held not only by the eldest of the family but how they affect the future generations, the cast achieved an immaculate performance of the production that stunned not just the women in the audience but the men, not only the younger generations but the older ones. It can only be said that Three Generations of Women has set a high standard in terms of female production, teamwork and theatrical performance that offers a beacon of encouragement for the future.